Located in The Colony, TX, we are your local, comprehensive dental solution for the entire family. The Colony Dentist can help you begin your journey to a healthy, beautiful smile. With our convenient location in The Colony, Texas, we treat patients from the surrounding neighborhoods of Lewisville, Little Elm, Castle Hills, and more. At The Colony Dentist, we use the latest technology like CEREC same-day restorations, digital x-rays, and a 3-D cone beam scanner to quickly and accurately place dental implants, resulting in less time in the dental chair and a more affordable, enjoyable visit. Dr. David Hubbell and our warm, friendly team strive to make our office as relaxed as possible, instantly putting even the most phobic patients at ease. We love caring for our patients and having a laugh while beautifying your smile is the highlight of our day. With Dr. Hubbell’s 30-plus years of experience, he’s seen it all and will find a solution for your every dental need. We believe patient comfort is our number one priority and many of our same-day emergencies become regular patients because they love our laid-back, judgment-free atmosphere. We provide quality dental care conveniently in your neighborhood, cater to your schedule, and offer many of the modern amenities you’ve come to expect in a dental office. We believe that whatever your dental needs may be, you will be treated with the highest quality dentistry available and with the most compassionate, respectful care you deserve. Dental implants bring the ultimate solution for missing teeth. Dr. Hubbell brings his expertise to direct your implant case at every stage. Dental bridges attach solidly to your teeth, eliminating gaps in your smile. Dr. Hubbell in The Colony, TX offers life-like results with the best materials. Porcelain dental crowns at The Colony Dentist naturally restore damaged teeth. Full function & appearance quickly return with modern materials. Dr. David Hubbell earned his Doctor of Dental Surgery degree in 1988 from the Baylor College of Dentistry. He continued his education after dental school with an elective one-year General Practice Residency at the University of Utah Medical Center. Before moving to The Colony and opening his new practice in 2008, Dr. Hubbell had a thriving practice in Grapevine, Texas for over 20 years. 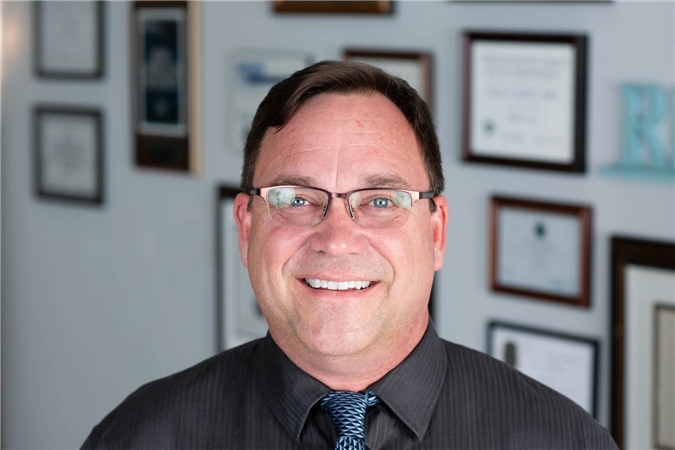 Dr. Hubbell has taken hundreds of hours in continuing education and became a certified CEREC trainer in 2004 and an internationally certified CEREC trainer in 2006. "Dr Hubbell and his staff are incredible. Dr Hubbell is an excellent Dentist and I recommend him for any dental proceedure you need." "Dr. Hubbell and his staff are very cordial and professional. A visit here is always positive!" "The quality of this operation is why I fly from Florida back to Texas to have any work done. One of a kind dentist!!!" "Best dental experience I've ever had!! Dr. Hubbell genuinely cares about the quality of your smile and your satisfaction. For the first time in my life, I have to learn how to smile. Truly life-changing!!" Schedule an appointment with The Colony Dentist today!